Entertain in style with the Prague & Madison setting. 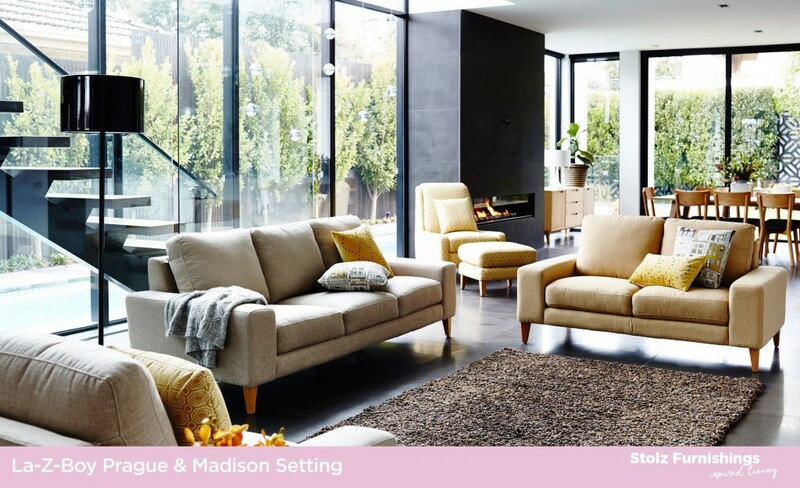 Create a modern entertaining area with the Prague 2 and 3 seater and chair and a cosy reading nook with the Madison. As both the Madison and the Prague have linear profiles and wooden tapered legs, they fit well together in the same room, despite being slightly different. Use complementary fabrics like Erin Linen, Erin Barley and Bradstreet Lemongrass and you would of have created a stylish space that is fresh and calming.